Batman: The Brave and the Bold was a fantastic and incredibly fun show displaying the light-hearted side of DC Comics and often a callback to the old Super Friends animated series from the 1970s. 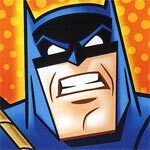 “Batman: The Brave and the Bold” is certainly the strangest incarnation for the Caped Crusader but is a fun callback to the old 60s and 70s comic book and allows the normally glum character to interact with an eclectic bunch of other DC and Warner properties. It’s also a series that both kids and adults can enjoy if you know what you’re getting into. I actually enjoyed “Batman: The Brave and the Bold” far more than I thought I would. It is, however, unfortunate that Warner is playing the game of splitting seasons up rather than just releasing the entire season at once (worse yet, I discovered they had released this part in 3 volumes at $9/vol!). That said, if you can nab this at a good price (< $10 I’d say), then it is certainly worth it. 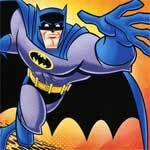 I actually enjoyed “Batman: The Brave and the Bold” far more than I thought I would. It is, however, unfortunate that Warner is playing the game of splitting seasons up rather than just releasing the entire season at once. That said, if you can nab this at a good price (< $10 I’d say), then it is certainly worth it.